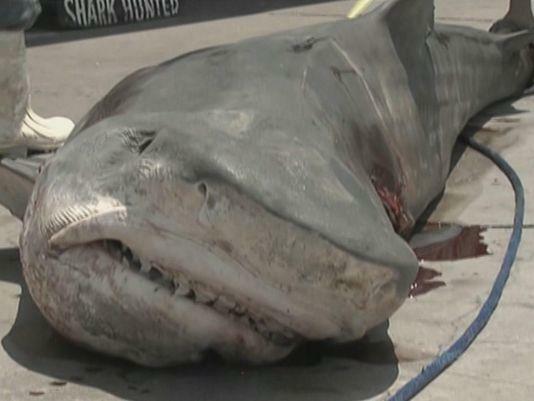 CORPUS CHRISTI, Texas (AP) — An 809-pound tiger shark caught in the Gulf of Mexico earlier this month has been cooked and served to more than 90 poor and homeless Texans. Timon’s Ministries in Corpus Christi set up the donation of about 75 pounds of shark meat. Executive director Kae Berry tells the San Antonio Express-News that the 12-foot, 7-inch shark was the biggest fish ever donated to the center. A volunteer chef breaded and baked the meat. Fisherman Ryan Spring of San Antonio had said he caught the shark after reeling it in for more than seven hours. Berry says the volunteer chef did a great job preparing the food and “most people really enjoyed it.” And the center says there are enough leftovers to serve up some shark stew next week.